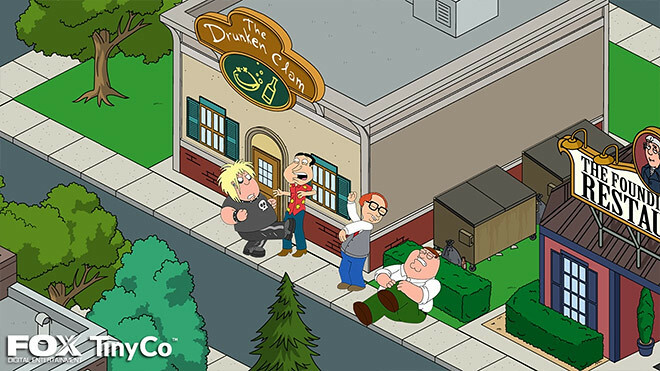 We first reported about an upcoming ‘Family Guy’ game back in December and guess what, the first screenshots have emerged! Fox and TinyCo will be launching this game together and it will be available for all mobile devices. 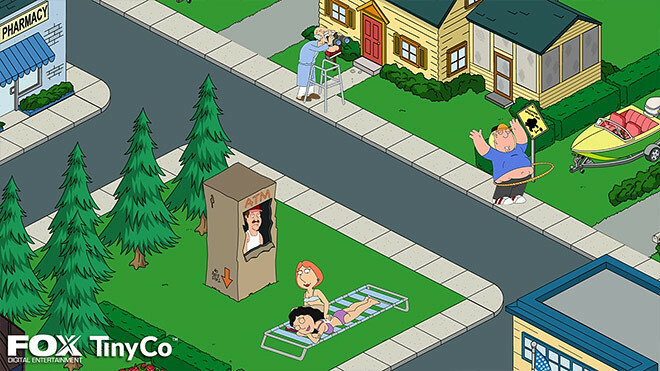 It will be free to play with in-app purchases of course, just like the ‘The Simpsons: Tapped Out’ game. The game will follow an original story which was conceived by the show’s writers, but you can also expect many nods to events that have taken place in the series’ 200+ episodes. In other words, expect plenty of fan service. 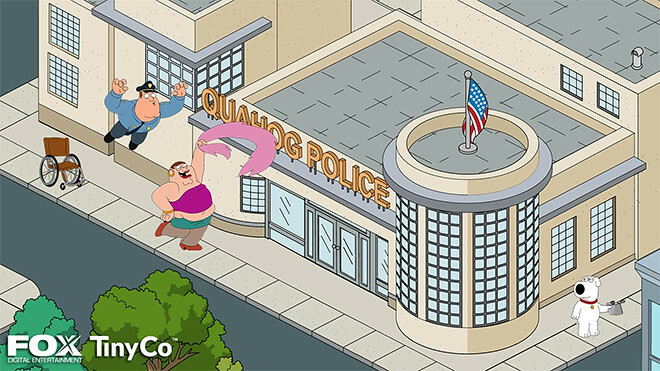 No firm release date has been set for the Family Guy game, but it sounds like they’re shooting for an early April launch.